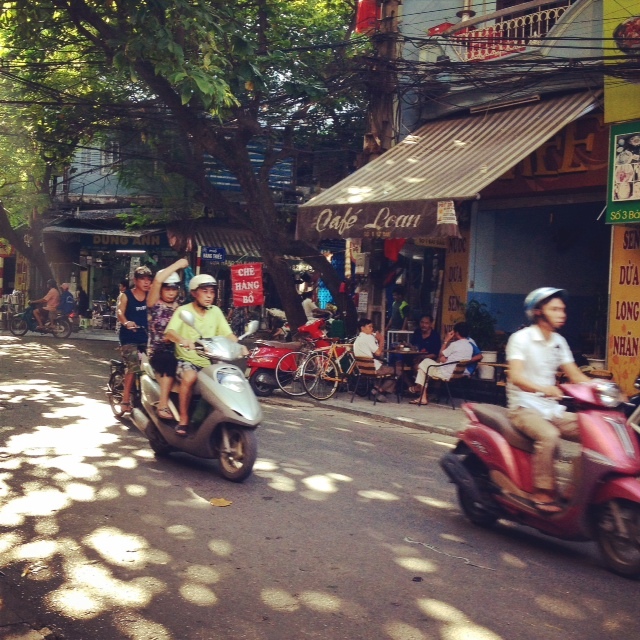 A year ago, I took my mom to Hanoi for a quick three-day trip. She had been to Ho Chi Minh a few years ago, but it was both our first time to the capital city of Vietnam. Known also as the country’s cultural capital, Hanoi exudes an old world charm even as the city straddles between its rich history and traditions, and the pull of modernity and western influence. We chose to stay in the Old Quarter, an intoxicating maze of narrow streets and alleys lined with all kinds of shops, cafes, bars, low rise hotels and apartments in French architecture. The streets are incessantly packed with scooters, pedestrians, walking vendors, and tourists. We stayed in Quoc Hoa Hotel – an eight-storey boutique hotel in the middle of the Old Quarter.